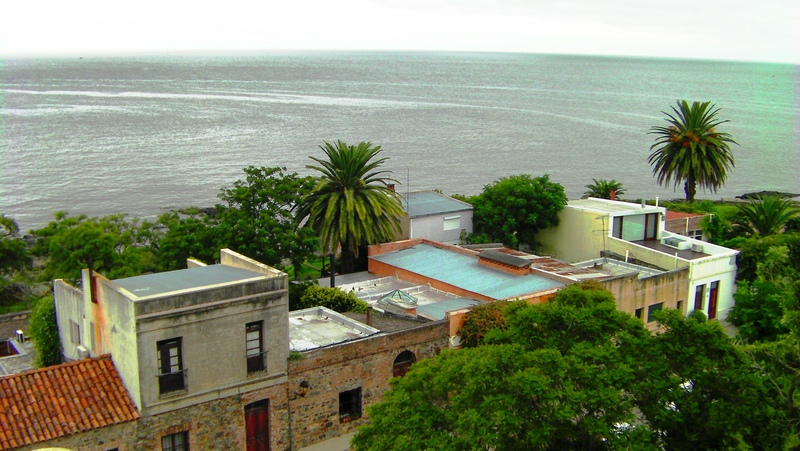 Colonia del Sacramento is only 50km from Buenos Aires by ferry and most of its two million annual visitors arrive from the Argentinian capital, especially in summer. Many come for a day trip or long weekend, taking the fast one hour one-hour ferry, Buquebus (buquebus.com). 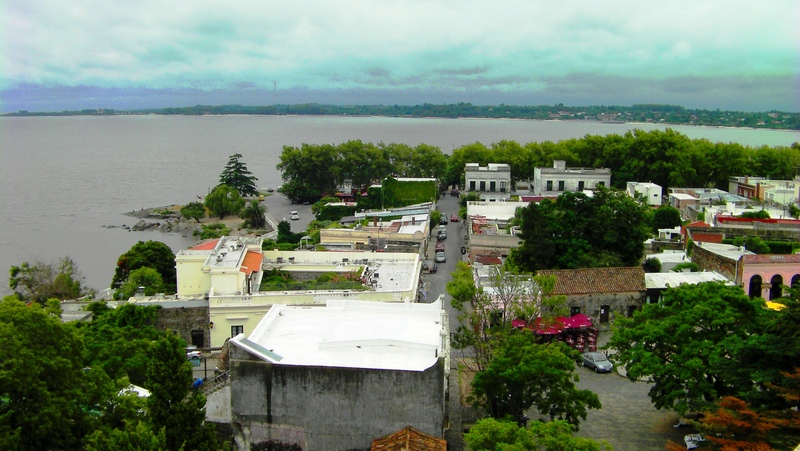 For those wanting to spend a relaxing few days in Colonia, there are some excellent boutique hotels and B&B’s on offer. 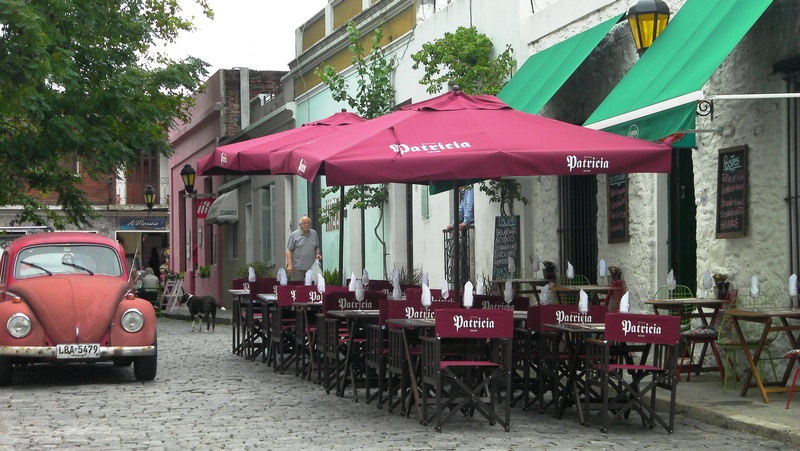 As our time was limited to two weeks in Uruguay, we just spent one day in the city en-route to Montevideo from Carmelo but this was just enough time to soak up the atmosphere. There is an excellent bus network around the country so it was very easy to explore Colonia and then move onto our next destination. The picturesque settlement is set on a peninsular is surrounded by water on three sides. Crumbling ramparts and a reconstructed drawbridge mark the entrance to the old town and pretty rows of sycamores draw visitors into its centre. We quickly ditched our map in favour of simply wandering at our own pace to uncover Colonia’s sights. 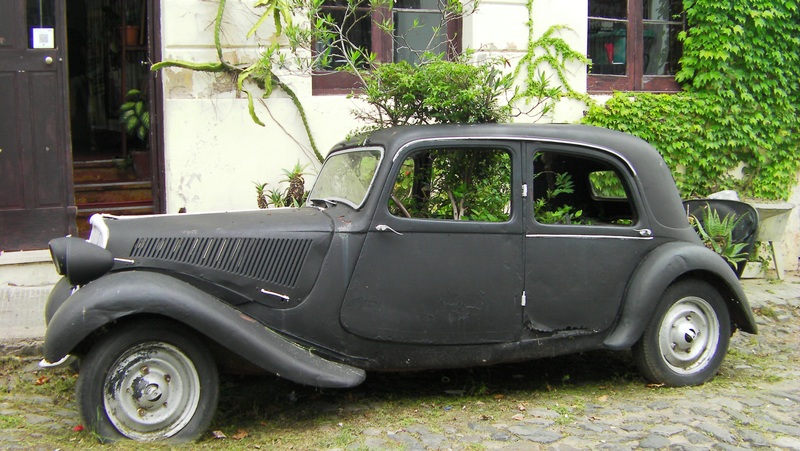 There are very few cars in the old town, apart from the 1950’s American classic cars that doubled as plant pots(!) It was a unique and charming place to wander around. We sauntered down the middle of the roads admiring buildings draped with colourful flowers and creeping green vines. We discovered cute cafes serving up great coffee whilst Argentinian and Uruguayan nationals sipped on a bitter herbal tea called yerba mate from shared cups as they explored. The Historic Quarter is quite small, so you can’t really get lost. All roads inevitably twist and turn back to Plaza Mayor. Originally used as a military parade ground, the plaza is now a spacious, grassy square lined with trees and dotted with park benches. 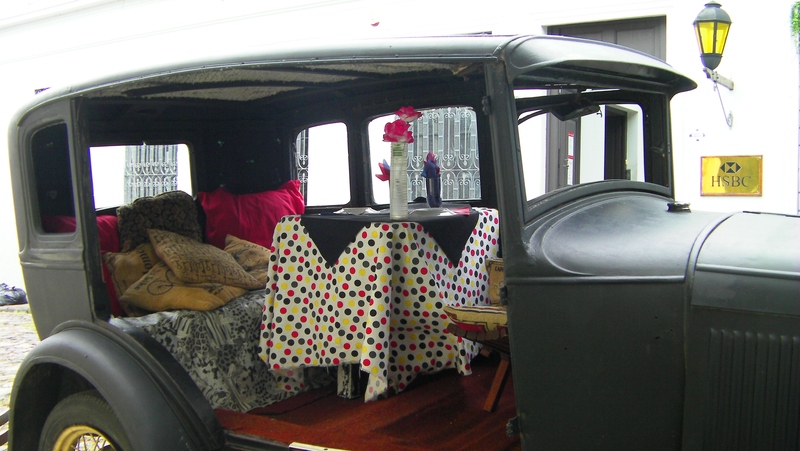 The Municipal Museum on the plaza is one of several interesting and quirky museums, accessed with a single ticket. 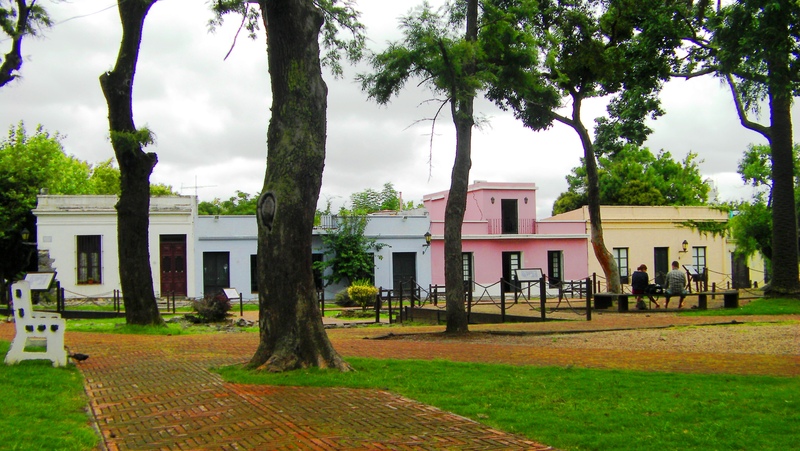 It has a collection of furniture and weapons from the colonial era as well as an interesting scale model of the original town. 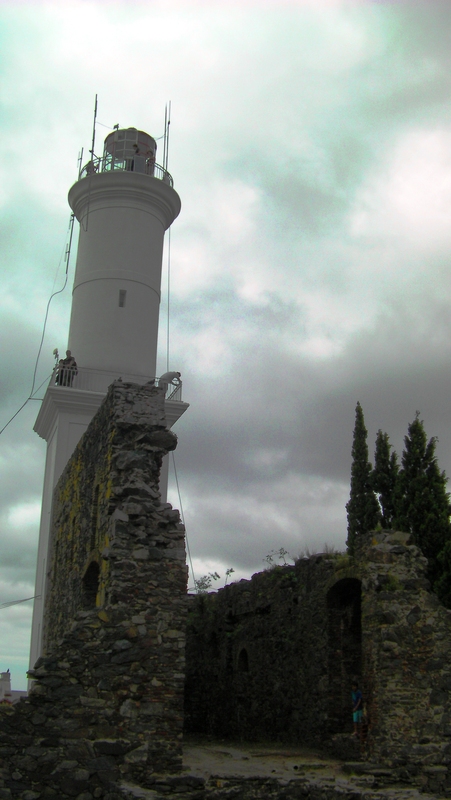 Whenever we travel, we always love to seek out new and interesting perspectives so we made a beeline for the striking whitewashed Faro lighthouse, rising impressively from the ruins of a convent and the highest point in Colonia. 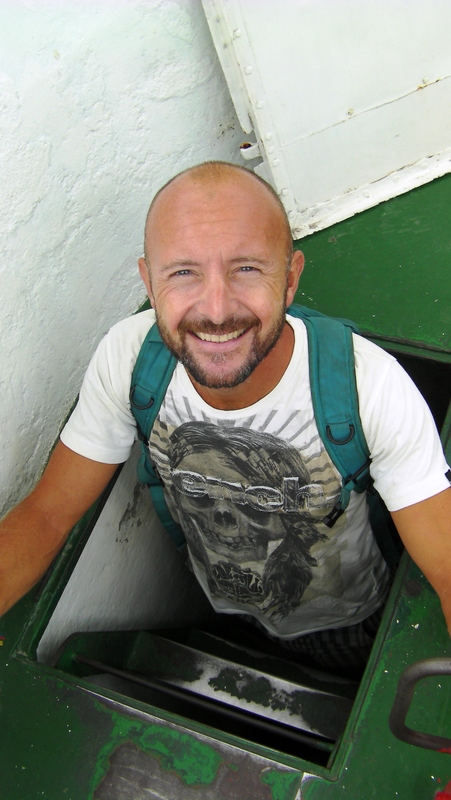 A small entry fee allowed us access to the narrow, spiral steps leading to the lighthouse’s panoramic observation deck. On a clear day you can see all the way to Buenos Aires. It was a great spot to get our bearings and the views of the rooftops and the riverside were beautiful. Looking down on Colonia’s buildings there is an interesting mixture of Portuguese and Spanish influences due to the countless times the city changed hands between the warring nations. The pastel coloured single-storey houses with tiled roofs were unmistakably Portuguese, while many of the grand two-story villas with balconies were added by the Spanish. 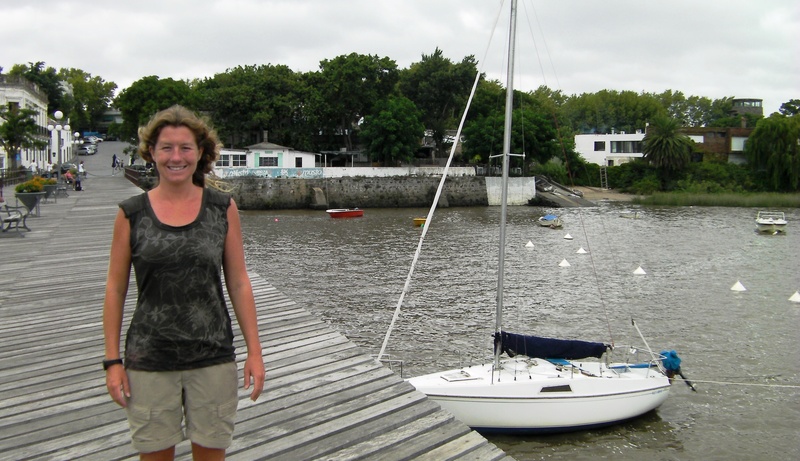 The small harbour is named Puerto de Yates de Colonia because of its many sailboats. From here, a beautiful path meanders along the riverside with gorgeous views. Further out of the old town sandy shores stretch for miles drawing fishermen and picnicking families. When we had enough sightseeing, we enjoyed browsing the art galleries and chic boutiques offering handmade clothes and ceramics. Foodies will love the wide range of European style restaurants with tables spilling out onto the streets. 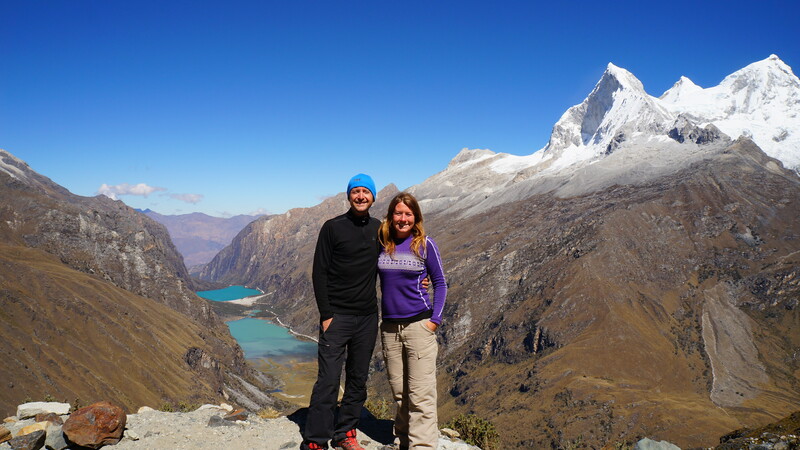 Many are undeniably touristic but the atmosphere is excellent. We dined on Spanish omelette and Patatas Bravas washed down with a glass of Tannat wine, Uruguay’s delicious national grape. Live guitar music flowed from the door of a small bar and we were transported to a different time, where aristocratic ladies in lace dresses rode carriages pulled by horses and ambitious young men frequented rowdy taverns and settled their quarrels by sword fights. 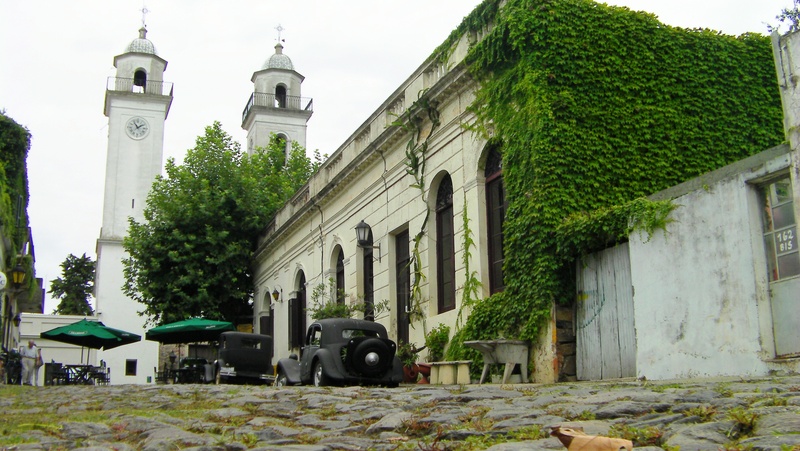 Our day in Colonia del Sacramento had certainly been worth it.